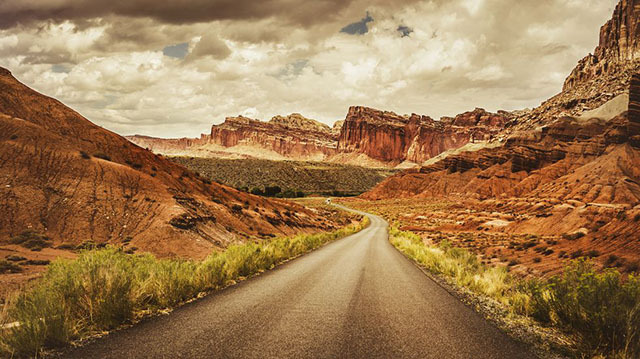 Are you ready for the best road trip of your life? The Scene: Take a cruise along the Gulf of Mexico on the Coastal Connection. 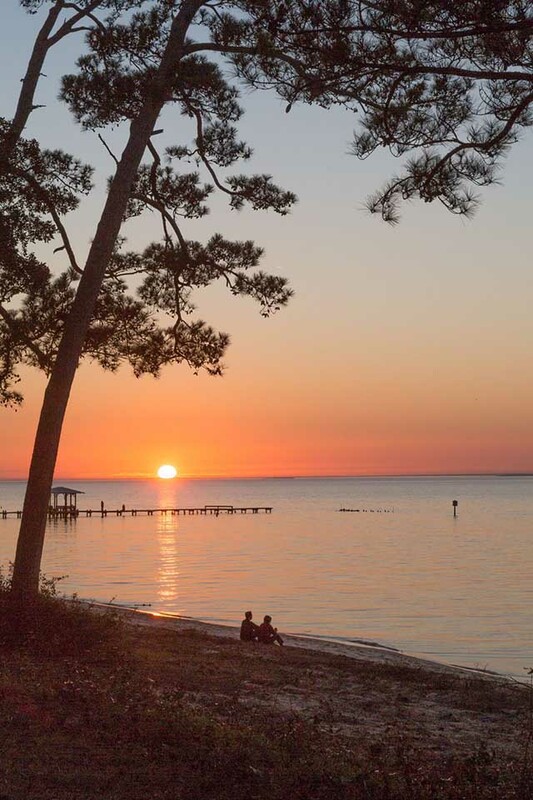 Beginning at Grand Bay, Alabama's southern tip stretches for 130 miles where you'll pass by sandy beaches, wildlife refuges, and historic sites like Fort Gaines and Fort Morgan. The Pit-Stop: Dauphin's Island Audubon Bird Sanctuary is set on137 acres of maritime land; it's a prime spot for viewing spring migrations in North America. The Scene: You may want to break this seven-hour, 360-mile journey up over the course of a couple days to ensure you can see everything along the way. On route from Fairbanks to Valdez, Alaska you’ll see Keystone Canyon, Worthing Glacier, Gulkana Glacier, the Wrangell-St. Elias National Park, and more. The Pit-Stop: Be sure to stop at North Pole, Alaska to see the "Santa Claus House" and the Antler Academy. 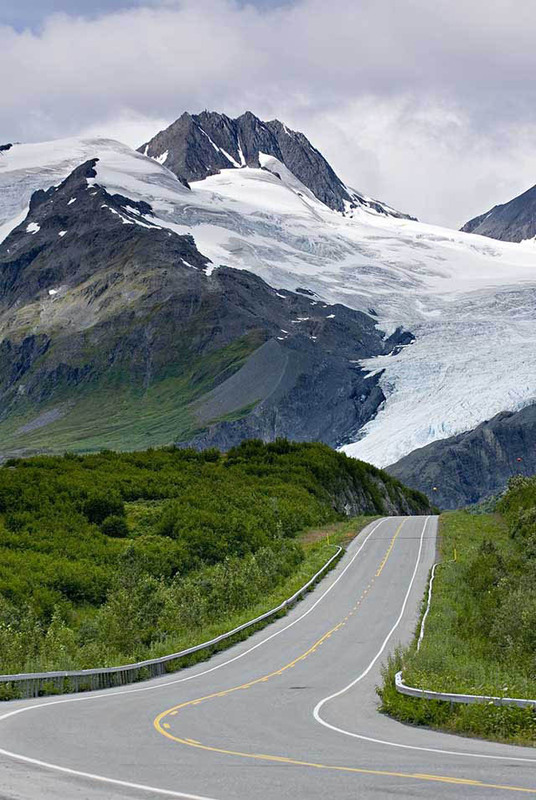 The Scene: Catch a glimpse of Alaska's best views along the 127-mile long Seward Highway. 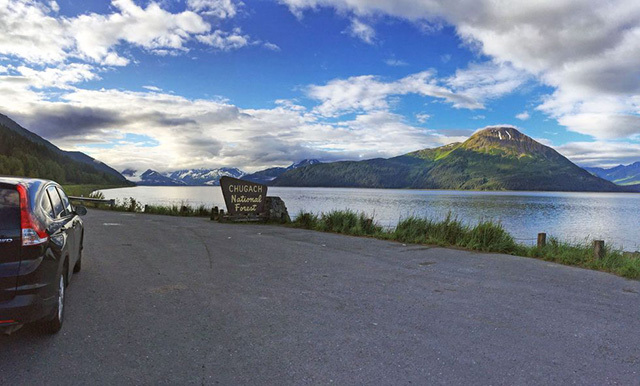 The iconic drive follows the Turnagain Arm from Anchorage to Seward. Hit the road between the months of May and September to witness the Aleutian Range and Alaska Range in all their glory, while keeping an eye out for Dall sheep perched on the cliffside. The Pit-Stop: Watch beluga whales roll in the surf at Beluga Point along the Turnagain Arm. The Scene: This scenic drive doesn't have an official name, but some locals call it Oak Creek Scenic Route. From Flagstaff to Sedona, travel nearly 30 miles to take in the natural beauty of pine trees, red rocks, canyons, and more. The Pit-Stop: Cool off with your family at Slide Rock State Park by riding on the creek's thrilling natural waterslide. 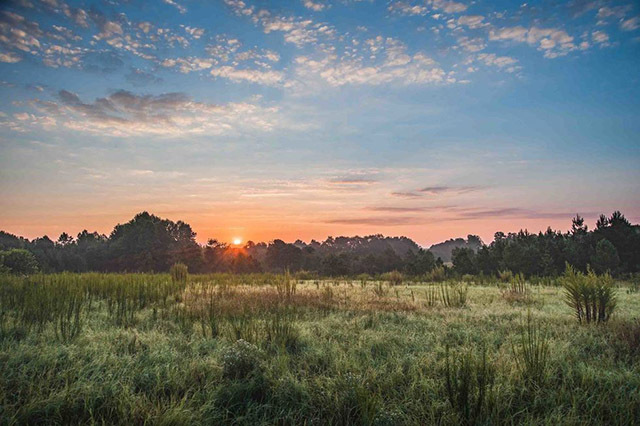 The Scene: Clocking in at 19 miles long, the Pig Trail Scenic Byway lies within the Boston Mountains region of the Arkansas Ozark Mountains. Some say the drive got its name because the winding road looks like the corkscrew tail of a pig. 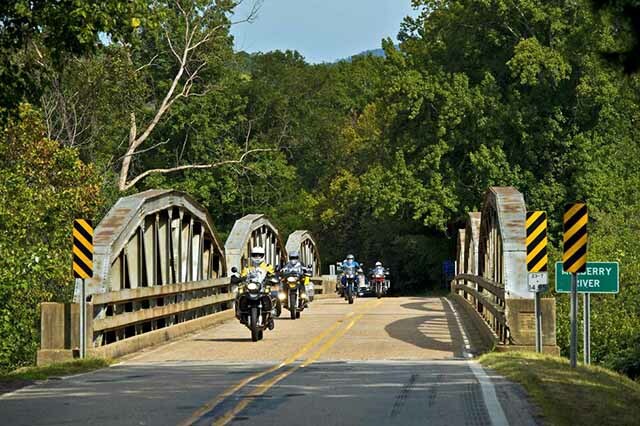 Crossing over the Mulberry River and through the Ozark Highlands Trail, this route showcases a riot of colorful foliage during the spring, summer, and fall. The Pit-Stop: Looking for your next camping trip? 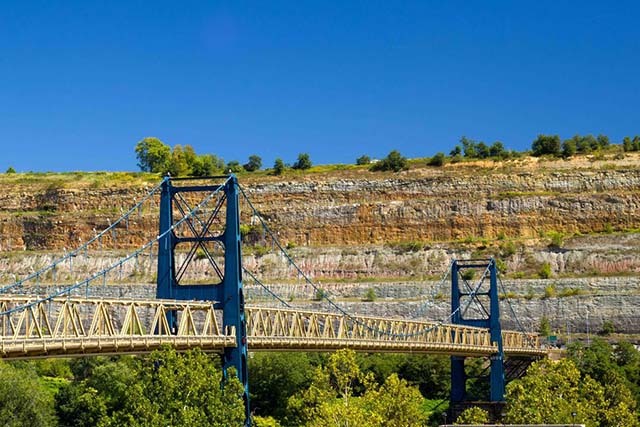 Stop at the White Rock Mountain Recreation Area and spend the day climbing the 2,260-foot peak to get a closer look at the surrounding views of the Ozarks. The Scene: If you're pressed for time, but still want to behold California's beauty, take this cliff-side drive from Monterey to Morro Bay. 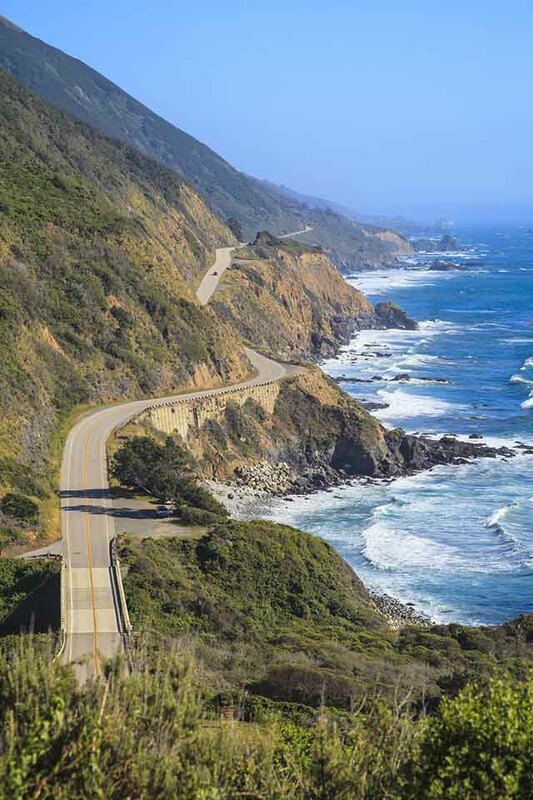 Coast along the 139-mile route and you’ll see Big Sur’s Bixby Bridge, picturesque Carmel-by-the-Sea, the Hearst Castle, and much more on the way. The Pit-Stop: Stop at Pfeiffer State Beach for photo-ops with the Pacific Ocean. The Scene: Start your drive near beautiful Lake Tahoe to take in the area's pristine wilderness. 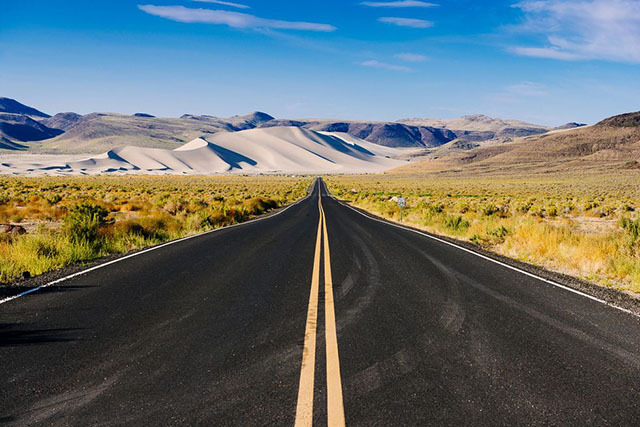 At approximately 375 miles, Route 395 is filled with history, passing through old mining towns and present-day tourist attractions like Yosemite National Park and Mono Lake until you reach Death Valley National Park. The Pit-Stop: Snap a quick photo of Mount Whitney, the tallest mountain in the 48 contiguous states standing at 14,494 feet tall. The Scene: Make your way through canyons and valleys on a road that was once used by miners over a hundred years ago. From historical mining towns to hot springs, this drive features some of the best views in the country. 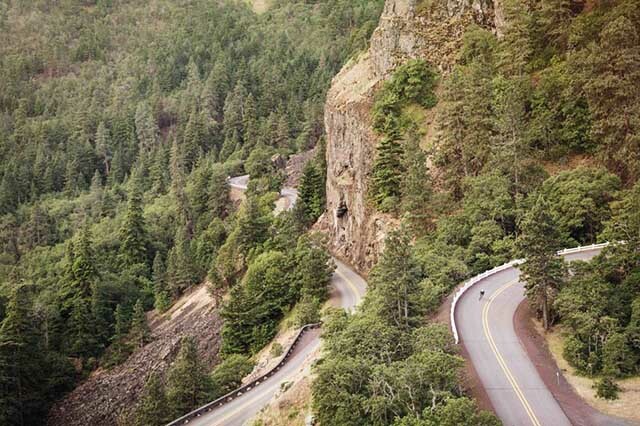 The Pit-Stop: Between Silverton and Ouray, ride along on "The Million Dollar Highway," a route built in the late 1880s—with its endless curves and turns, you'll be in for a fun ride (as long as you're cautious)! The Pit-Stop: Step back into the 19th century by visiting Falls Village. 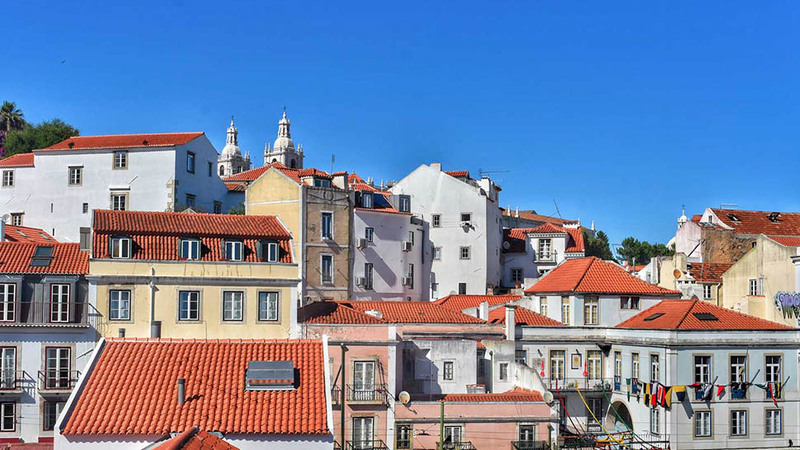 Your family can spend the entire day exploring this charming town, which includes gorgeous churches, railroad depots, streets, and historic houses. 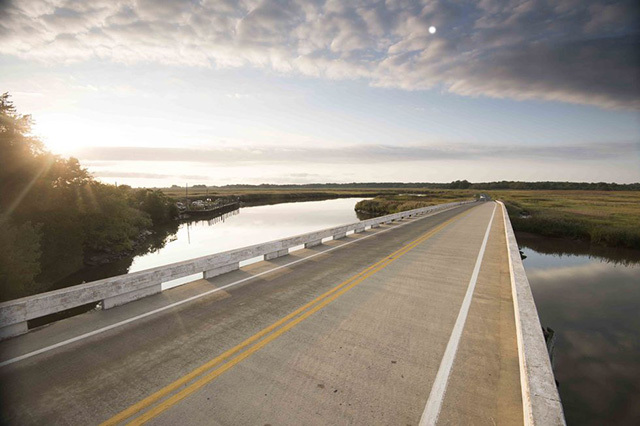 The Scene: It's just 50 miles long, but this route allows you to witness spectacular scenes as you drive along endless acres of water marshes near the Delaware Bay. In the fall, pull over to watch the Atlantic Flyway, when thousands of birds pass through the area as they migrate south for the winter. The Pit-Stop: Tour the Historic Homes of Odessa to marvel over the finest examples of the 18th and 19th-century architecture in the state. 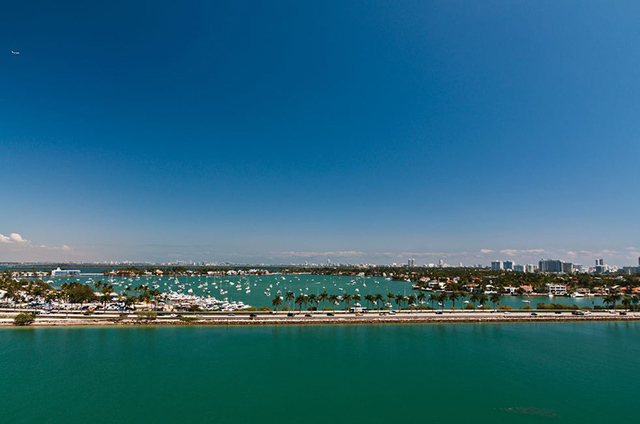 The Scene: Though the full highway extends over 338 miles, we recommend making the journey from Jacksonville down to Miami on highway A1A’s 67-mile stretch. The entire drive provides gorgeous seaside views as you drive through Daytona Beach, West Palm Beach, and Fort Lauderdale. 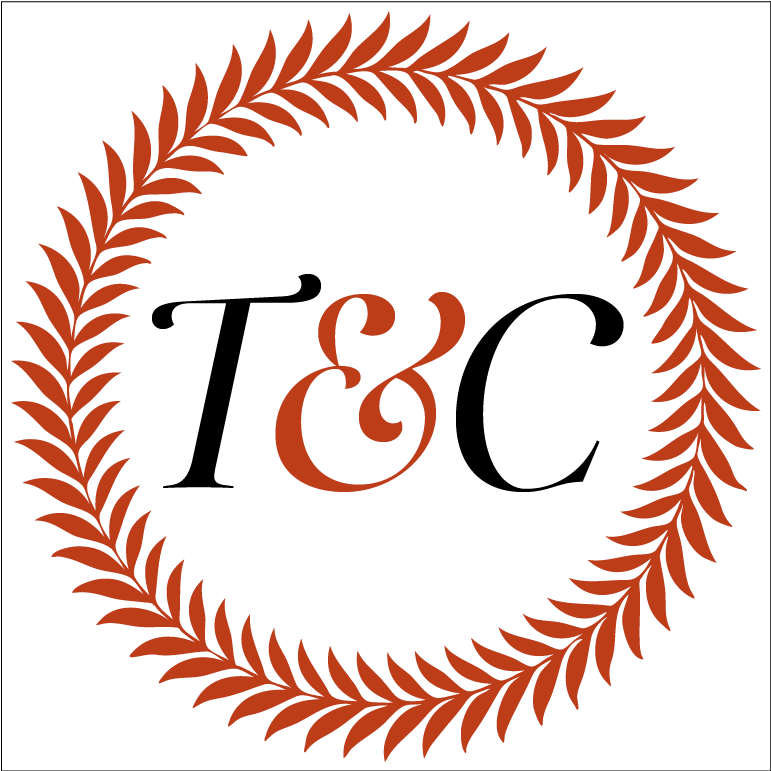 The Pit-Stop: With so many popular destinations and small towns on this route, you’ll have plenty to choose from, though we recommend checking out Kingsley Plantation, which is situated in Timucuan Historic Preserve. It’s the oldest plantation in the state. 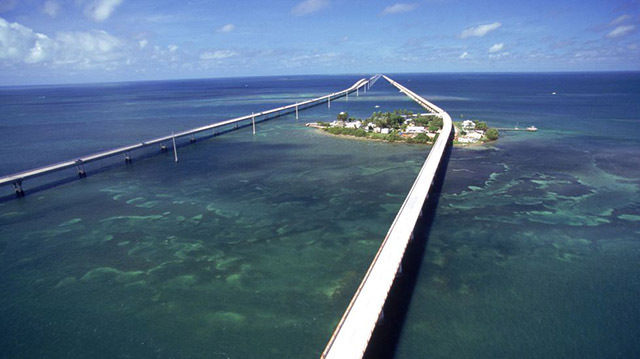 The Scene: Driving over the blue-green waters of the Atlantic between the cities of Miami and Key West, the Overseas Highway provides a once-in-a-lifetime experience. Pick an off-season time to avoid a traffic jam, and it'll be smooth sailing for 113 miles. The Pit-Stop: Visit Jules' Undersea Lounge (or stay the night! ), the world's only underwater hotel. The Scene: Founded almost a century ago, the Woodpecker Trail got its name from the woodpeckers living within the surrounding pine forests. Travel down the 204-mile drive along Georgia State Route 121 and pass through quaint Southern towns like Augusta, Folkston, Metter, and Waynesboro. 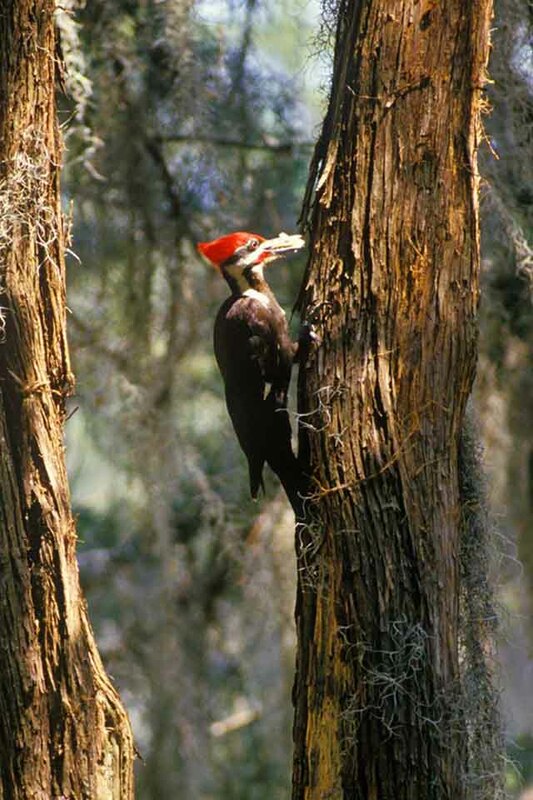 The Pit-Stop: See the birds at Okefenokee National Wildlife Refuge, an endangered home for woodpeckers, cranes, robins, owls, and more species. The Scene: Journey around Maui, Hawaii from Kahului to Hana on this 2.5 hour, 52-mile trip while you take in the gorgeous tropics and ocean views. The Pit-Stop: You'll want to take a quick break from your travels to take a closer look at Wailua Falls, one of several waterfalls featured on the route. 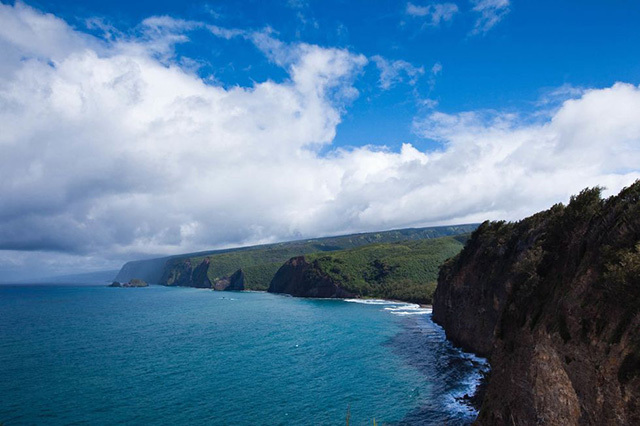 The Scene: On the Big Island, this drive has it all: sea cliffs, lush valleys, and tropical rainforests. 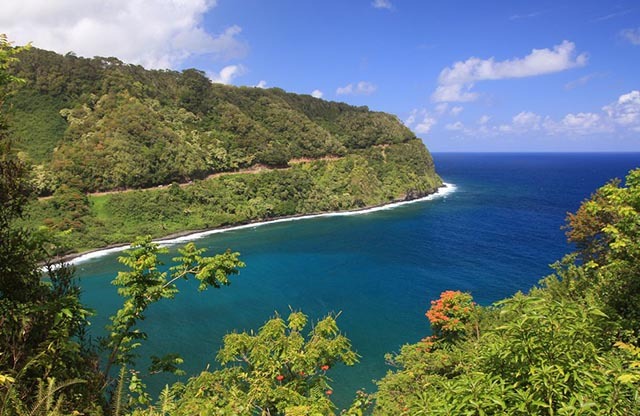 From Hilo to Waipio Valley Lookout, the scenic detour will be a trip to remember. The Pit-Stop: Take in 2,000 species of tropical plants from around the world in the Hawaii Tropical Botanical Garden. The Scene: Beginning in Lewiston, follow U.S. Highway 12 to the Idaho-Montana border until you reach the city of Grangeville. 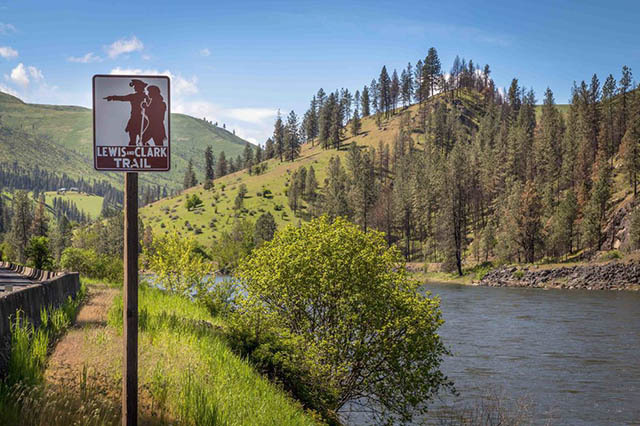 For the next four-and-a-half hours, you'll follow the route of Lewis and Clark's Corps of Discovery, so you're bound to see some great America sights through the ancestral homeland of the Nez Perce Native Americans. The Pit-Stop: Plan a visit to the Nez Perce National Historical Park in Spalding. 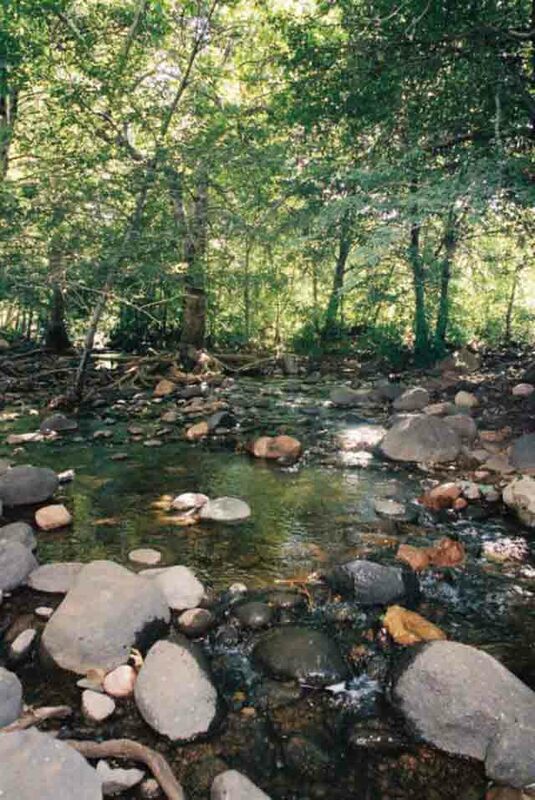 You can explore some Lewis and Clark historic landmarks, such as Canoe Camp and Cedar Grove. The Scene: Get your kicks on Route 66! 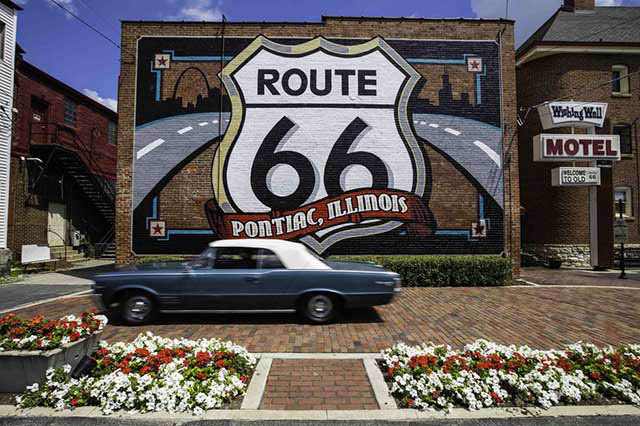 Starting in the heart of downtown Chicago, Route 66 allows you to cruise through Illinois for 301 miles, as you pass through farm towns and historic sites before reaching St. Louis. The Pit-Stop: It isn't a real road trip until you see something strange! Take your picture next to the World's Largest Catsup Bottle in Collinsville. 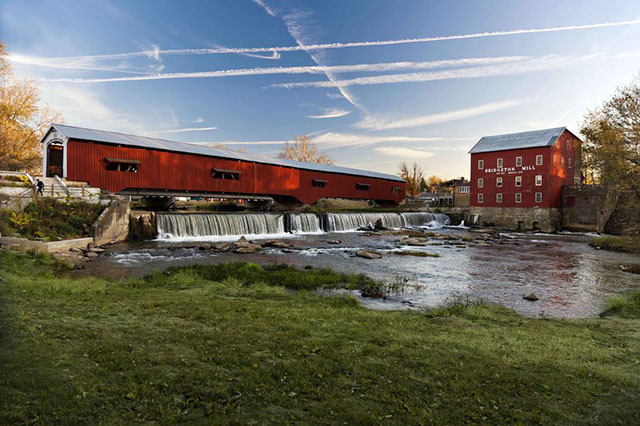 The Scene: If you're a fan of beautiful bridges, then you are going to love Indiana's Parke County, the covered bridge capital of the world. Follow the winding roads as you pass through small towns with a bit of history and lots of great local food. The Pit-Stop: Lock yourself up for the night at the Old Jail Inn Parke County in Rockville. This bed and breakfast has turned once-bleak prison cells into cozy rooms (there's even a winery in the basement!). The Scene: Travel along Iowa's eastern edge, over highways and country roads to see all the spectacular greenery. 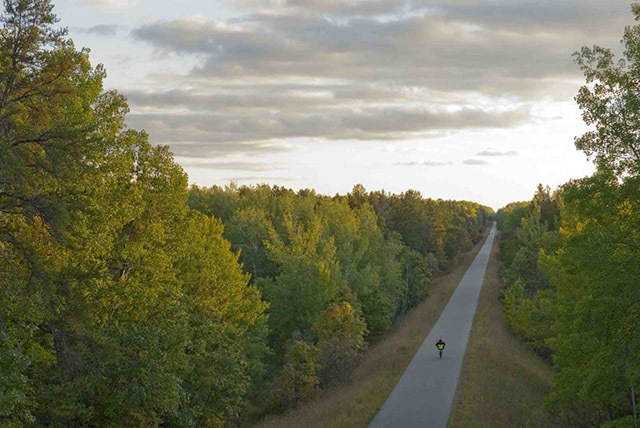 The 300-mile route passes through 10 counties, national wildlife refuges, and quaint river towns. 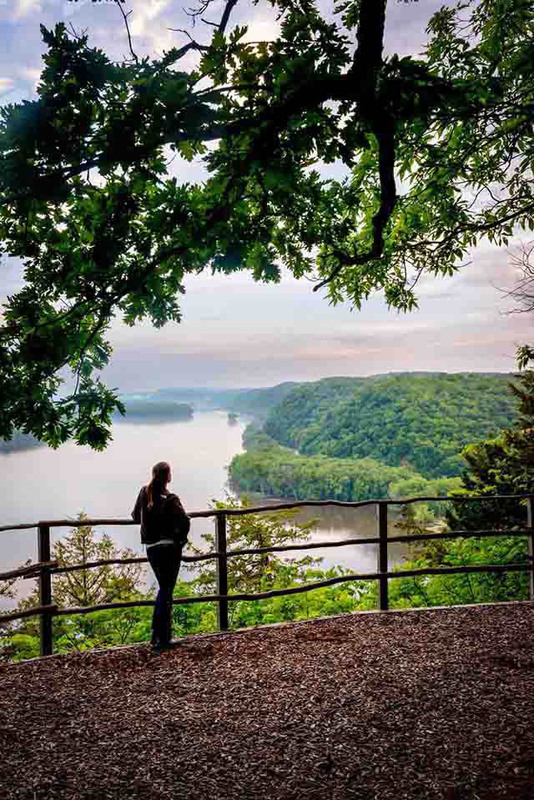 The Pit-Stop: Take in the panoramic views of the Mississippi River at Mount Hosmer Park. The Scene: History fanatics will love driving the 71 miles through this route, which includes the site where Abraham Lincoln's family once settled in Kentucky. 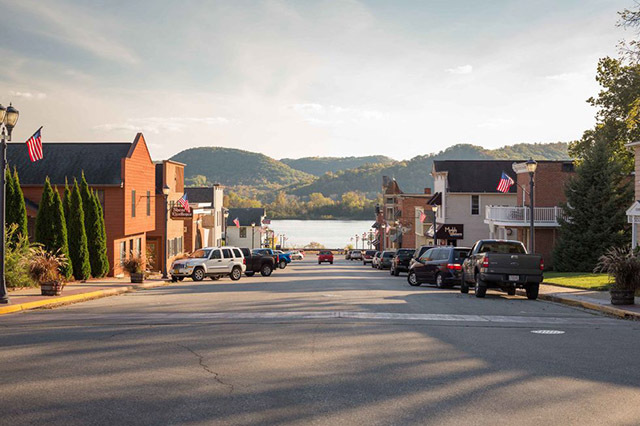 Don't forget to take some time to shop and dine along the small towns' Main Streets! The Pit-Stop: Learn about Lincoln's early life in Kentucky at the Abraham Lincoln Birthplace National Historic Site. The Scene: Start your 183-mile adventure along the Bayou Teche Byway in the town of Breaux Bridge. 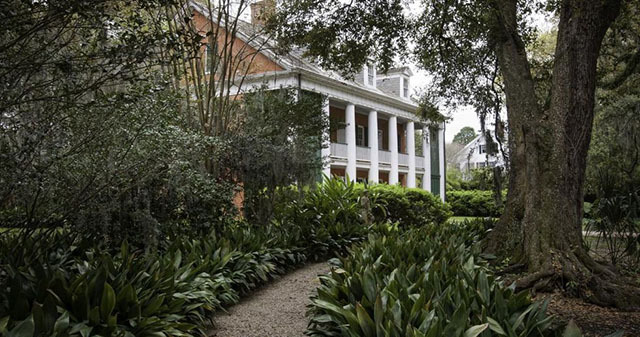 If you're feeling tired along the way, stop at one of the many bed and breakfasts that showcase small town Cajun flavor. The Pit-Stop: Check out Cajun Jack's Swamp Tours to get an up-close look at American alligators and migratory North American birds. 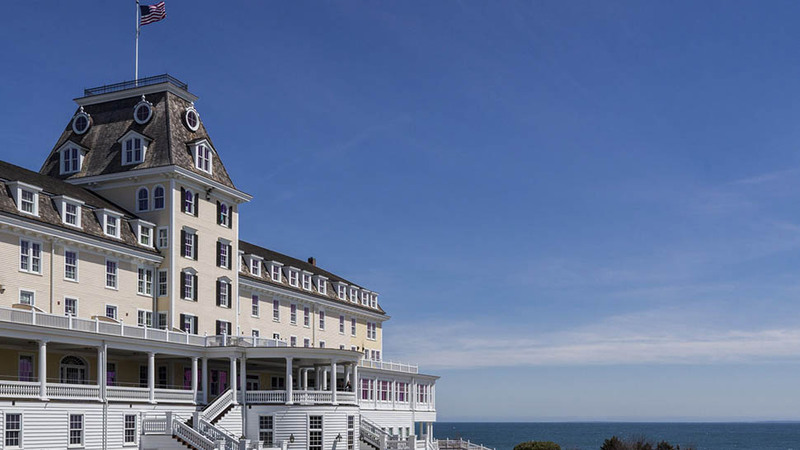 The Scene: This three-hour, 40-mile trek offers spectacular coastal views where you’ll see beaches, harbors, and lighthouses aplenty. Starting in Trenton, Maine, you’ll drive down to Hulls Cove Visitor Center where you’ll then start the loop around Acadia National Park. The Pit-Stop: Bring your hiking boots, so you can venture to the top of Cadillac Mountain in Acadia National Park. 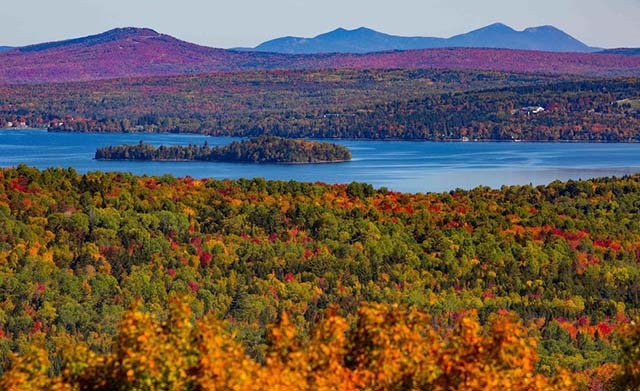 It’s the highest peak on the east coast and offers incredible views of water. The Scene: This route takes only 2.5 hours to drive, so you can take your time spending the entire day on exploring the beautiful mountainside area. 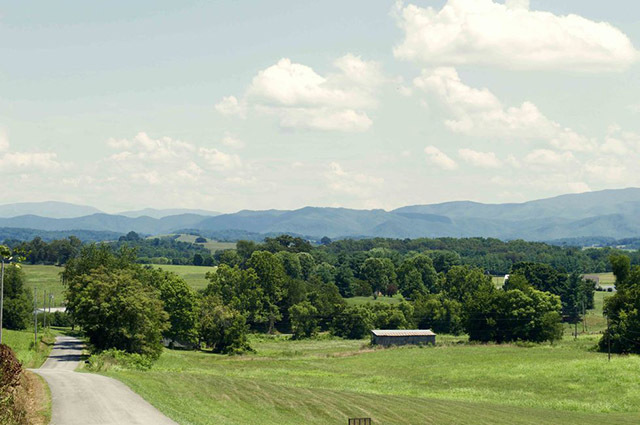 Travel through the Appalachian Mountain ridge line to see some of the state's prime views. The Pit-Stop: Hike to Angels Falls, a 90-foot waterfall that makes a great backdrop for a family photo. The Scene: Starting in Baltimore, the Historic National Road runs through several other states; the diverse route ranges from urban landscapes to country scenes with the Western Maryland mountains as a backdrop. The Pit-Stop: If you want to experience the route by train, climb aboard for a short ride on the Western Maryland Scenic Railroad. 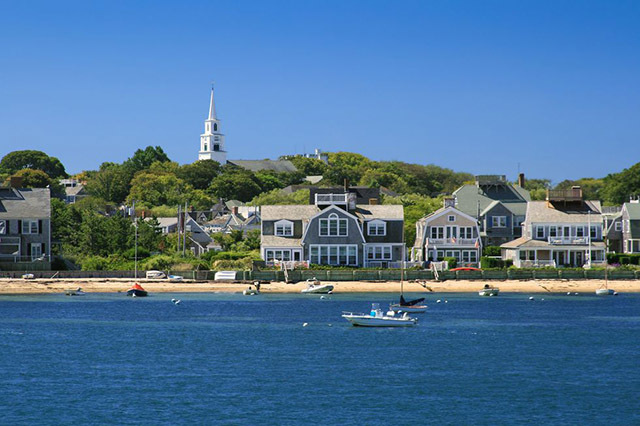 The Scene: Beside Cape Cod Bay, Route 6A winds through some of the oldest towns in America from Bourne to Yarmouth; this route is more quiet than the touristy northern side of the Cape. The Pit-Stop: Eat a fresh seafood lunch at Barnstable Harbor while watching the waves crash along on the bay. 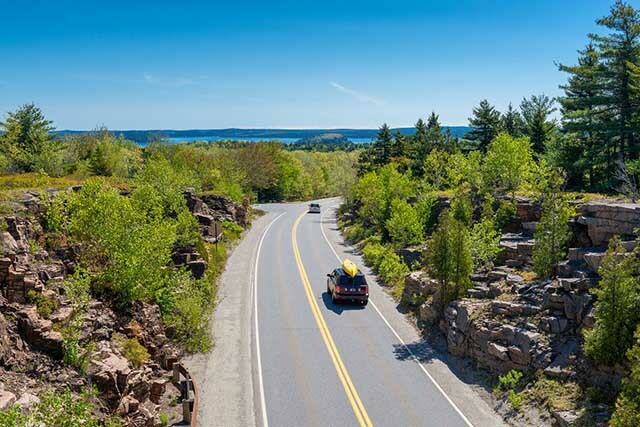 The Scene: Often cited as one of the top fall drives in the country, M-22 runs along the Lake Michigan shoreline starting in Manistee County and ending in Traverse City after 116 miles. 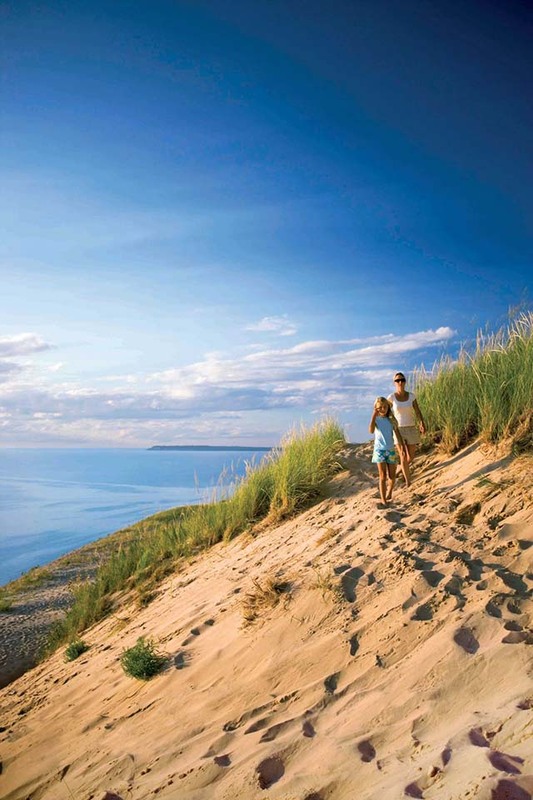 The Pit-Stop: The Sleeping Bear Dunes National Lake Shoremight be long and narrow, but it offers the best lakeside views when on the top of the Michigan "mitt." The Scene: Explore the lakes of central Minnesota, where you can fish, boat, or just relax near the water. Or, plan a beach day at any of the large lakes including Gull, Pelican, Cross, and the Whitefish chain. The Pit-Stop: Cuyuna Country State Recreation Area is known for its world-class mountain biking, and it's open for bikers of all levels. 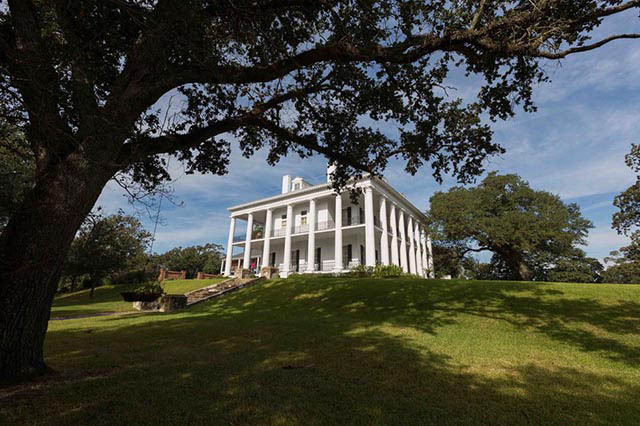 The Scene: Plan a vacation along the Great River Road, a route that promises 300 miles of small town charm as you pass historic churches, bed and breakfasts, and even the storied Old South Winery in Natchez. The Pit-Stop: Don't skip dinner at Doe's Eat Place, a Greenville joint known for its mouthwatering steaks. The Scene: Loop through the rolling hills of the Ozarks starting in Strafford, Missouri, and ending in Springfield, the third largest city in the state. The route includes Missouri Routes 126 and 76, and U.S. Routes 160 and 65. You'll go south on 125 from Strafford to the community of Reuters (about 61 miles) before turning west on to U.S. 160. Follow 160 west until it hits Highway 76 (about 24 miles) just east of Forsyth. From there, turn south on 76 and you'll drive about 15 miles to Branson, before connecting with 65 north to Springfield. 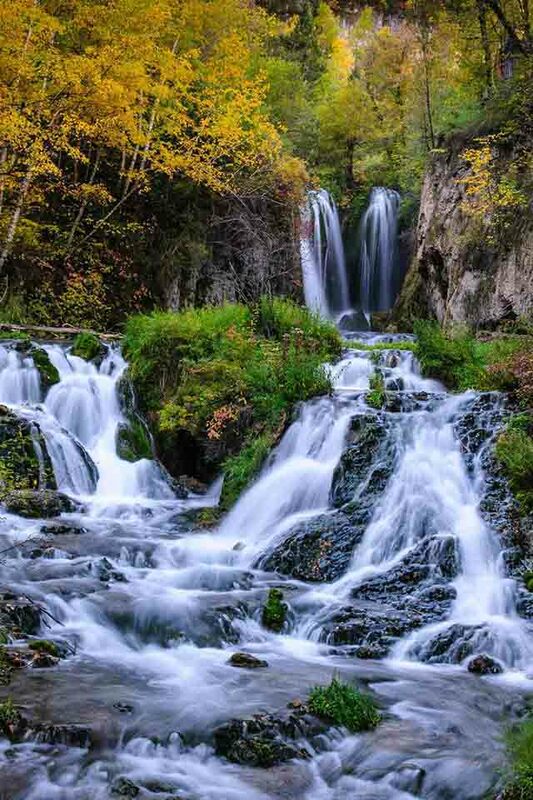 You'll see countless roadside streams and charming small towns along the way. The Pit-Stop: Visit sections of the Mark Twain National Forest, named after Missouri's most famous citizen. 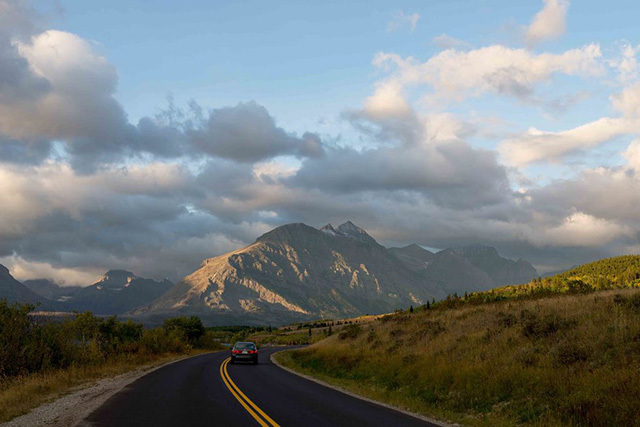 The Scene: With sweeping views of the Rocky Mountains and glacier-fed lakes, this 50-mile drive is bucket list-worthy. 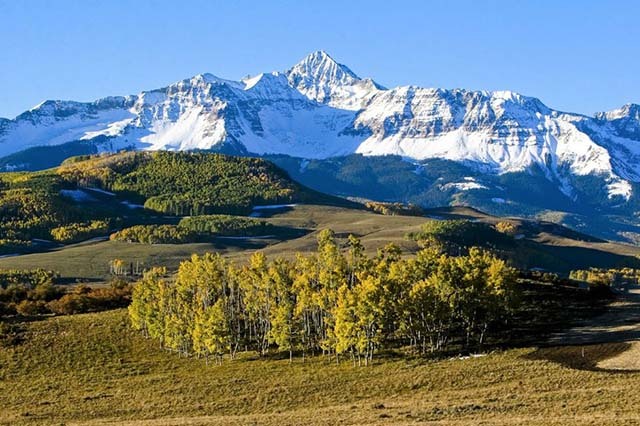 The Pit-Stop: You'll probably see bighorn sheep and mountain goats near Logan Pass, which is the highest point on the drive at 6,646 feet. The Scene: Unofficially known as the Fossil Freeway, Highway 71 runs between Denver and Rapid City in a 164-mile route. Notice how much the scene dramatically changes from rolling hills in the South to open plains in the North. The Pit-Stop: Spend the day at Wildcat Hills State Recreation Area and Nature Center to take a hike through 1,094 acres of wilderness. 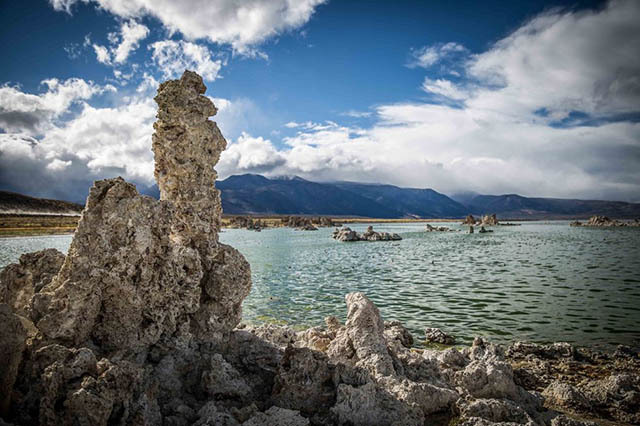 The Scene: Experience the Wild West by starting in historic Carson City and following Highway 50 through the ruins of Pony Express stations, plus nearby abandoned mines, saloons, and opera houses. Keep an eye out for wild horses, elk, antelope, and deer, too. The Pit-Stop: Camp out at Sand Mountain, a large sand dune located in the middle of nowhere. The Scene: The best place to begin your drive on the "Kanc" is in Lincoln, where you'll follow the twists and turns to an elevation of just under 3,000 feet before descending to the town of Conway. 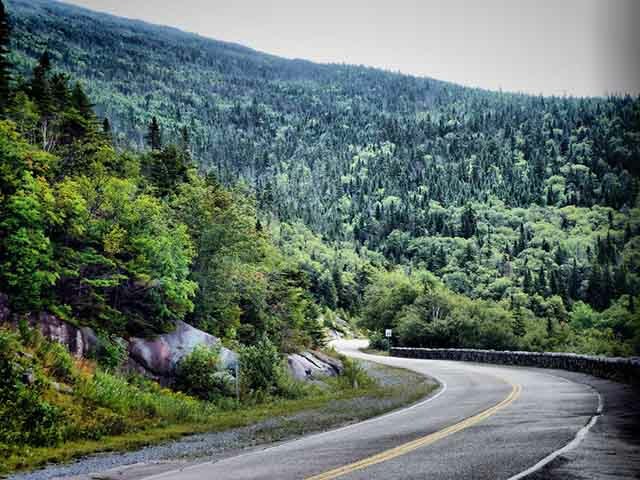 Along the way, you'll be surrounded by nature in the heart of the White Mountain National Forest, filled with scenic overlooks. 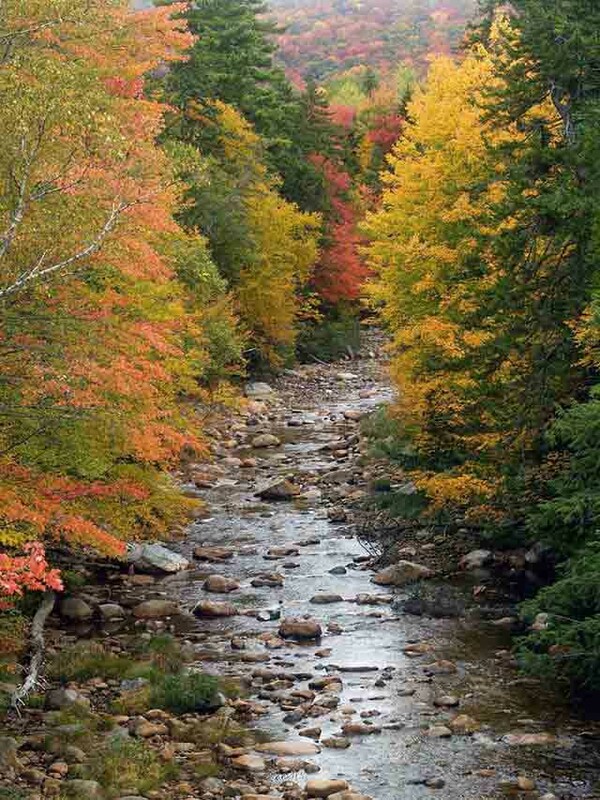 The Pit-Stop: Stop to hike through the trees and rivers of the White Mountains. 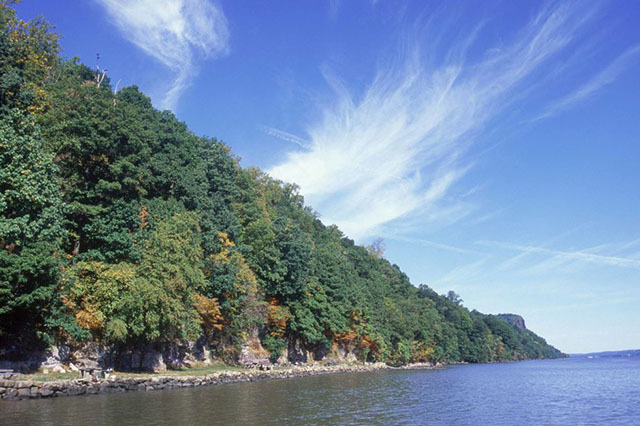 The Scene: Travel beside the Hudson River through a section of New Jersey's national historic landmark, Palisades Interstate Park. The 500-foot-high Palisades look especially amazing during the autumn months. You'll also get a glimpse of the New York City skyline across the river. The Pit-Stop: Your little ones will love to learn all about the nature at the Tenafly Nature Center. 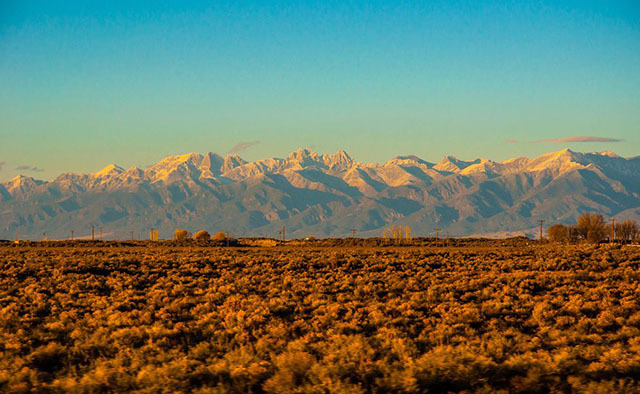 The Scene: Your journey starts in Taos as you circle around New Mexico's famous mountains, including Sangre de Christo Mountains and Wheeler Peak. The Pit-Stop: Plan a stopover in Angel Fire, a modern resort town open year-round with activities ranging from hot air balloon rides to snowmobiling. The Scene: Head directly to the top of the Whiteface Mountains in upstate New York. This scenic byway takes drivers from the small town of Wilmington to the mountain's summit at 4,867 feet. The Pit-Stop: At the top of the peak, explore Whiteface Castle, which was built from stone in the 1920s and offers striking panoramic views of the Adirondacks, New England, and Canada. The Scene: With 318 curves in 11 miles, US 129 will be the most thrilling ride of your life. 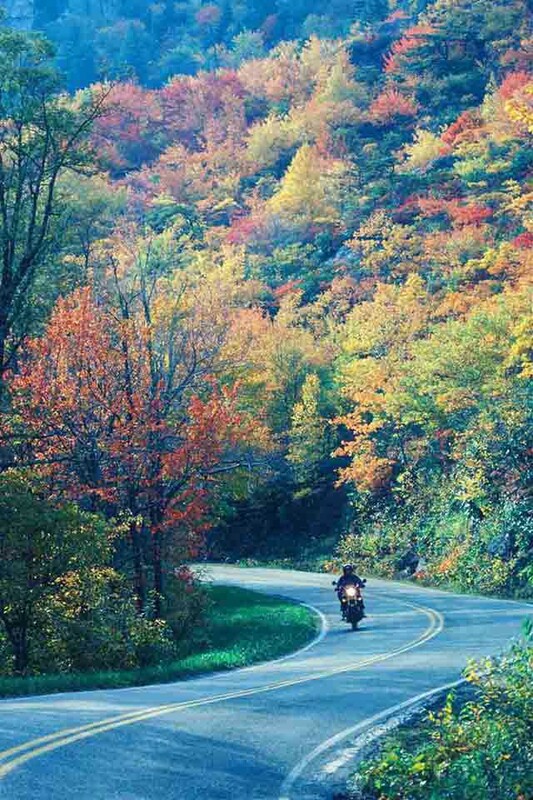 There's no wonder why it's America's most popular motorcycle and sports car road! The Pit-Stop: Grab a snack or a few souvenirs at US 129 Motorcycle Pit Stop, where you can see all kinds of motorcycles lined up in the parking lot. The Scene: In just 36 miles, loop around the south park entrance to take in incredible views of bison, deer, antelopes, and prairie dogs. Your passengers might even spot a bald eagle in the sky! The Pit-Stop: Bring your camera and head for nearby Wind Canyon, one of the most photographed places in the park. The Scene: Follow the Ohio River on a path that runs through a tristate byway from East Liverpool to Cincinnati. 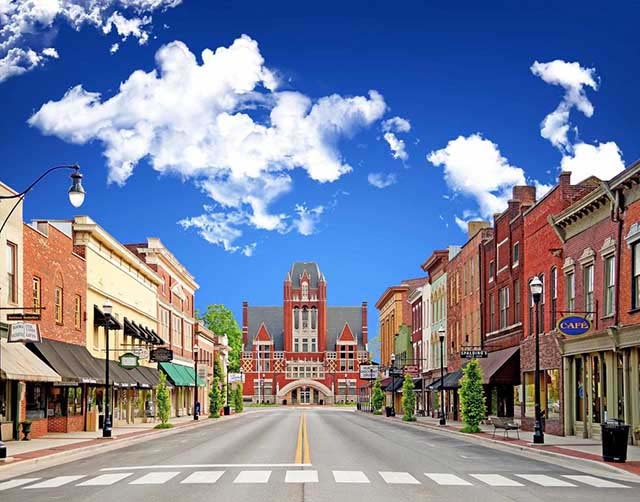 You'll be exploring historic American industrial cities and quaint river villages, along with the beautiful Wayne National Forest. 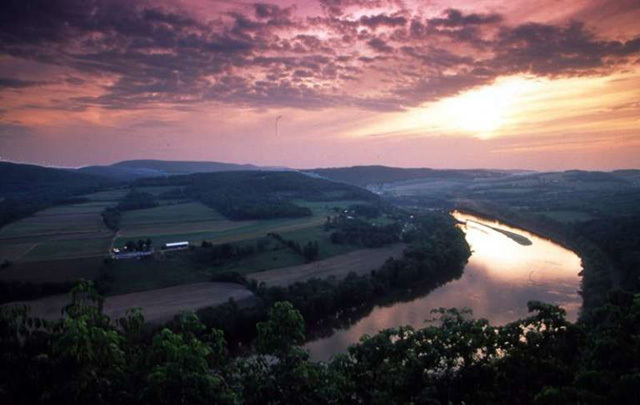 The Pit-Stop: Take a ferry ride at Sistersville to view the state's famous river up close. 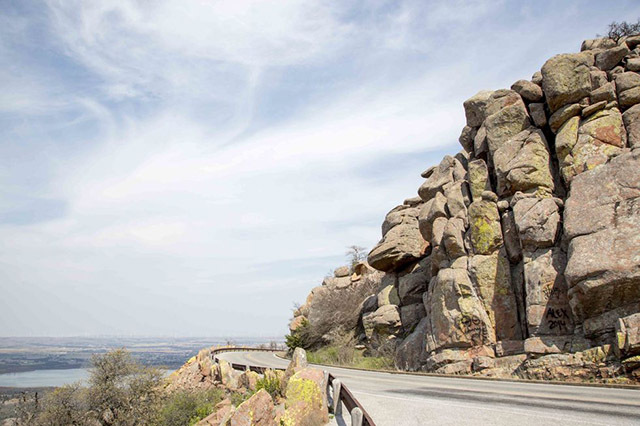 The Scene: Located in southwestern Oklahoma, the Wichita Mountains Scenic Byway offers some of the prettiest wildflower sightings in the spring, and amazing fall foliage views in the fall. The Pit-Stop: Climb Mt. Scott to get a panoramic view of the surrounding mountains. 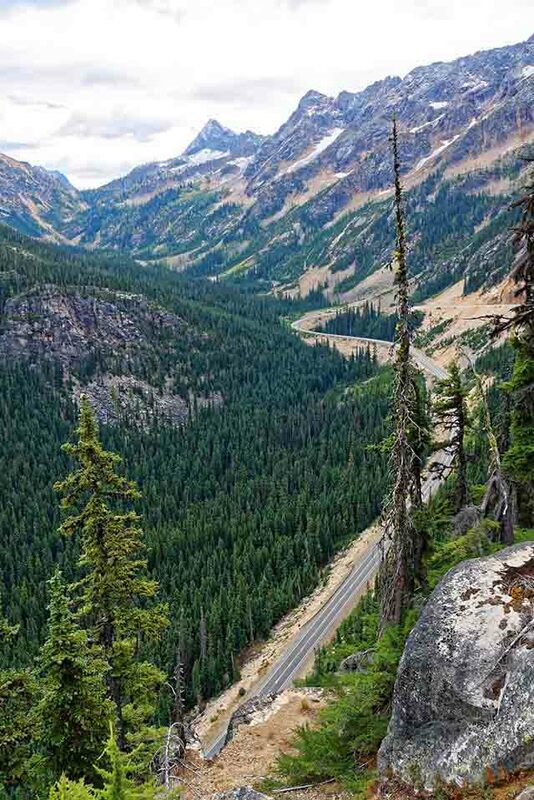 The Scene: Known as America's first scenic highway, the Historic Columbia River Highway runs a total length of 73 miles through the Columbia River Gorge National Scenic Area from Troutdale to the Dalles. The Pit-Stop: Get the best views of the Gorge from the Vista House at Crown Point. 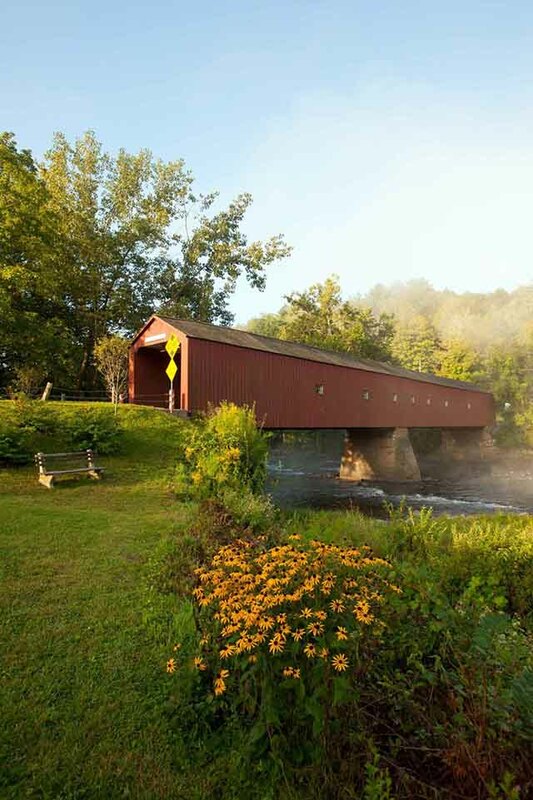 The Scene: Built in 1807, the serene highway along Pennsylvania's northern tier is more than 400 miles long. Explore charming historical towns along the route, which draws nearly 3.5 million visitors each year. The Pit-Stop: Gaze at the stars at Cherry Springs State Park, a 48-acre park with the darkest skies on the eastern seaboard. 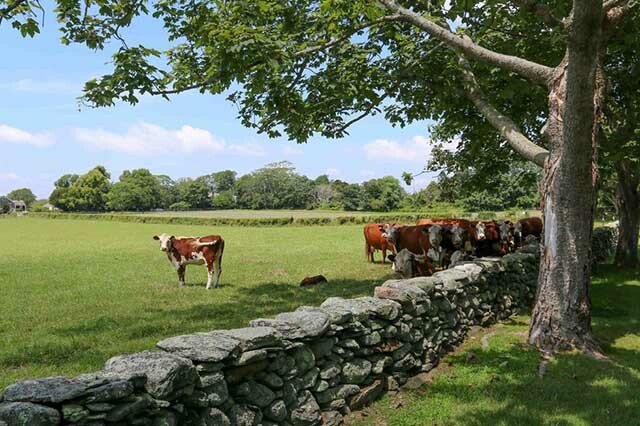 The Scene: Travelers can experience the rural riverfront of Rhode Island in this 14.29-mile journey that goes from Tiverton to Little Compton; wine enthusiasts will especially love all the wineries along the trail! The Pit-Stop: Plan a picnic at Nanaquaket Pond, and relax while you take in the scenic views. 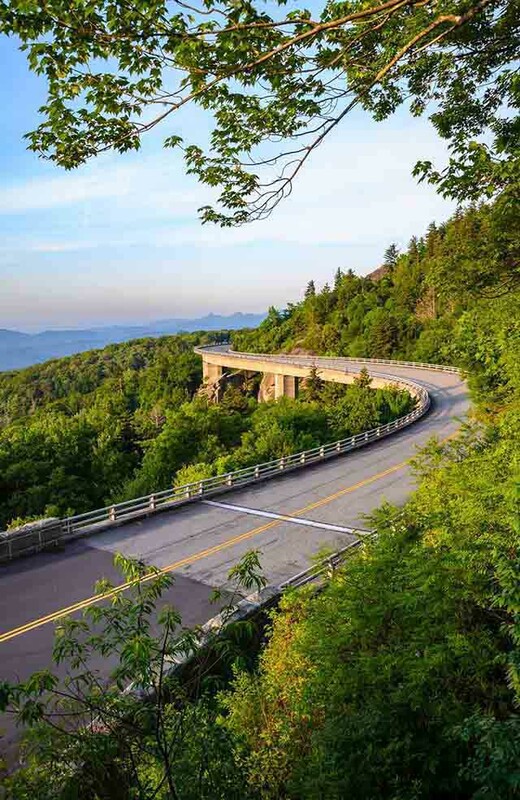 The Scene: Spanning over 100 miles of the Blue Ridge mountain range, this scenic drive allows travelers to witness magnificent views along South Carolina Highway 11. The Pit-Stop: Spend the day at Table Rock State Park where you can do anything from hiking to canoeing. 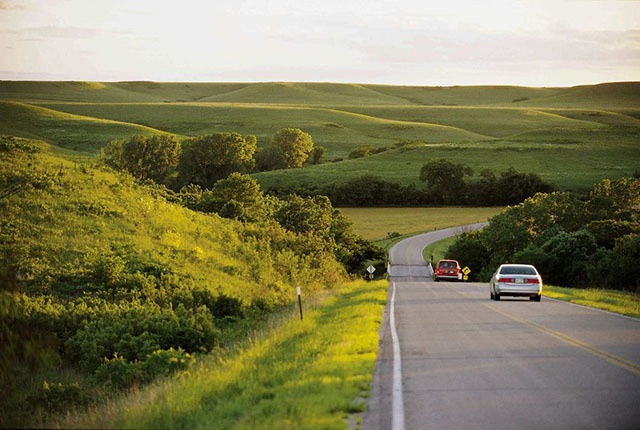 The Scene: Travel through one of the prettiest towns in South Dakota just off of Interstate 90. Come visit in the fall to see all the vibrant autumn colors in the canyon. The Pit-Stop: Walk to Bridal Veil Falls, where there's a small wooden platform that's a popular spot for Instagram-worthy photos. 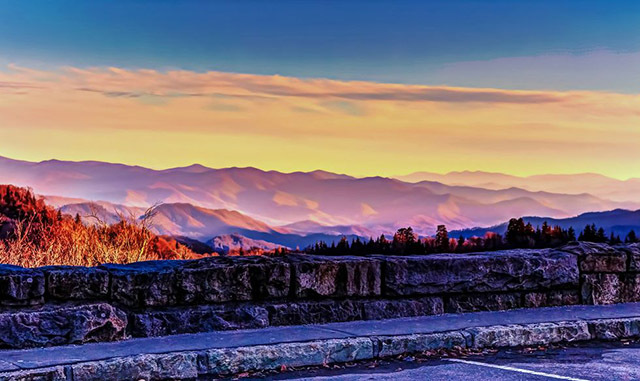 The Scene: For 66 miles, you’ll see sweeping views of the Great Smoky Mountains as you make your way from Asheville, North Carolina to Gatlinburg, Tennessee. 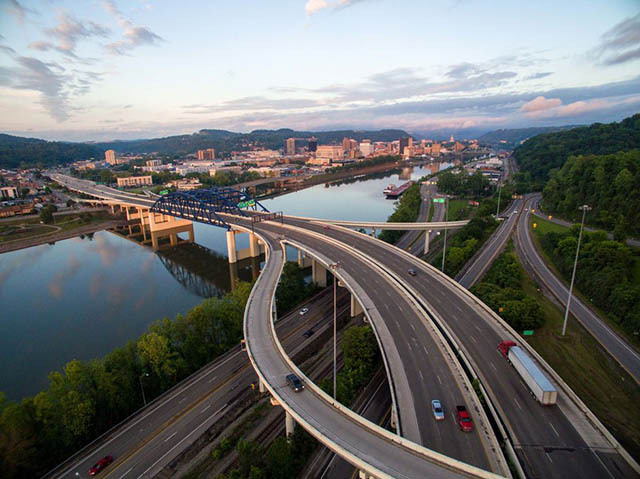 Though this technically starts out of state, you’ll spend most of the two-hour, 100-mile journey in Tennessee. The Pit-Stop: Take in sweeping vistas of the lush mountains at the Newfound Gap. The Scene: This Tennessee road allows drivers to check out all the kitschy tourist attractions that Sevier County has to offer, while also experiencing the beauty of the surrounding rural areas. 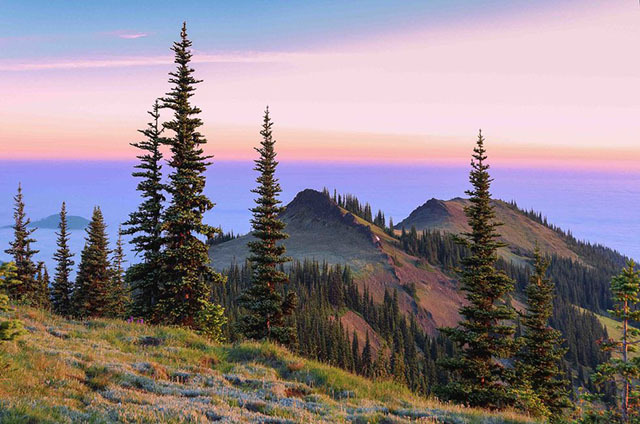 At 475 miles long, you can spend an entire weekend exploring this trail. The Pit-Stop: Spend the day at Tennessee's number one attraction, Dollywood, Dolly Parton's beloved amusement park. 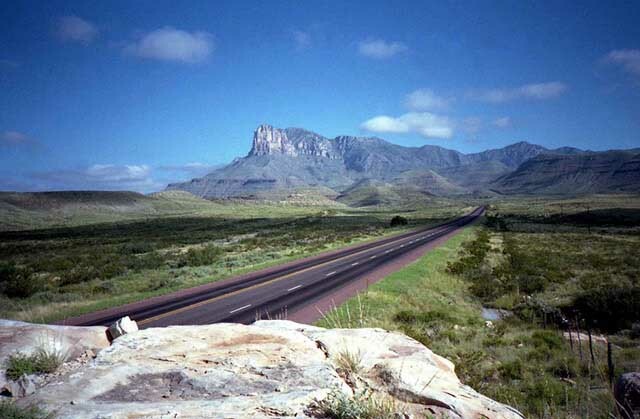 The Scene: Take the scenic route to Big Bend National Park on this two-hour drive from Marathon, Texas. On the way, you’ll get the best vistas of the Chisos Mountains, and once you arrive at the park, hop on the Rio Grande River Road for more incredible views of the surrounding areas including Mexico. The Pit-Stop: Prepare to leave behind civilization on this journey! 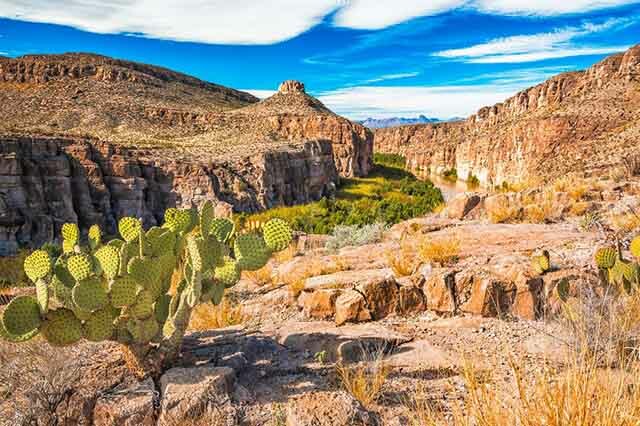 One of the many interesting features of this 80-mile trip is the fact that Big Bend National Park is far away from it all, so the only stop you’ll be making here is at the beautiful national park. Though with incredible mountains, canyons, and wildlife all around, you may want to pull over to take a view photos on the way. The Scene: Leading up to the Guadalupe Mountains, this road lives up to its name since you probably won't see many cars on the road with you. 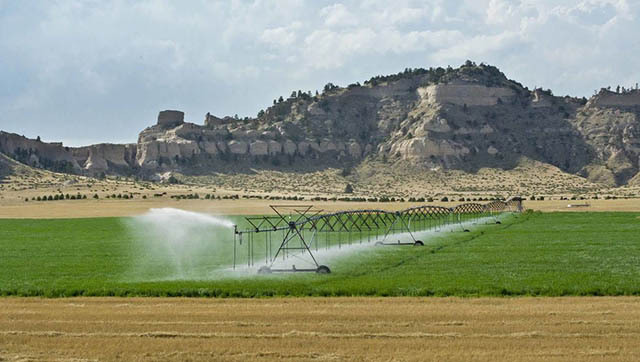 Travel west on Highway 285 to Highway 180 as you get closer to the beautiful mountains. The Pit-Stop: Stay overnight at Pine Springs Campground. It can be your base camp as you spending your days hiking and exploring the area! 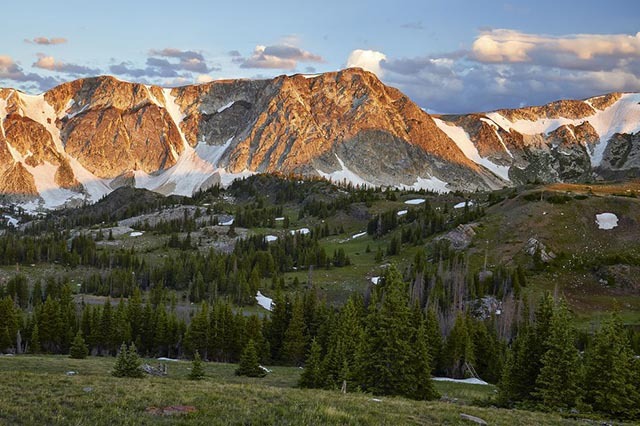 The Scene: While you can certainly explore this national park by hiking or horseback riding, we recommend taking it in via the comforts of your car. Drive through the heart of this 100-mile park on the “Scenic Drive” route, which begins at the visitor’s center. Though it’s a relatively short drive (less than 10 miles), you should expect to spend several hours on it if you want to see all eleven park landmarks on the way. And if you love what you see, you can extend your trip by driving the Cathedral Valley Loop. The Pit-Stop: Make a quick stop at Capitol Gorge, a nearby canyon that offers the perfect place for photos. The Scene: Scenic Byway 12 starts in Panguitch and travels east through various national parks, forests, and other nature sightings. It takes about three hours to complete, but you'll want to spend the day making stops throughout the roughly 123-mile route for an exciting day trip. 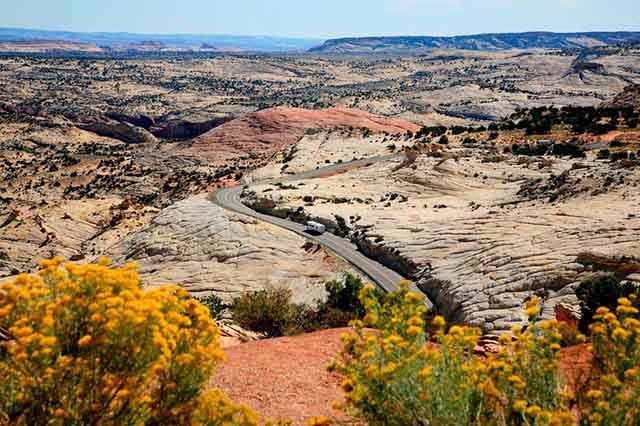 The Pit-Stop: When standing at Head of the Rocks Overlook, you'll get endless views of the Escalante Canyons. 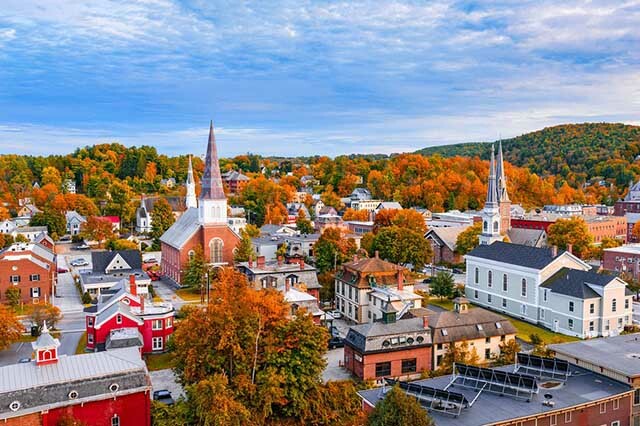 The Scene: Make this journey from Wilmington to Newport, Vermont in October for incredible views of the fall foliage surrounding charming small towns. And with plenty of farms, pretty churches, and main streets to visit, it’s a fun trip for the spring and summer months, too. The Pit-Stop: Head to Montpelier’s Main Street to check out the local shops and restaurants where you can pick up items from local artisans and fresh treats from nearby farms. The Scene: Explore Vermont towns such as Waterbury and Stowe as you drive from the northern Green Mountains to the peaks of the Worcester Range in the east. 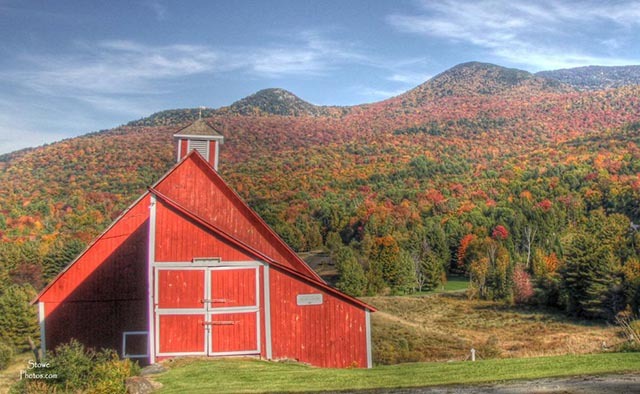 The Green Mountain Byway offers a spectacular mountainous backdrop as you pass by historic homes, farmsteads, state parks, and mill sites. The Pit-Stop: Travel to the top of Mount Mansfield, Vermont's highest peak, where you'll find all kinds of recreational activities. The Scene: The Blue Ridge Parkway begins in the northern Shenandoah Valley and travels 469 miles into North Carolina, as you head through the Appalachian Mountains for some of the best scenery in Virginia. The Pit-Stop: Plan a family vacation at the Peaks of Otter, a scenic setting that has attracted travelers since the 1800s. The Scene: Over the course of this 440-mile loop around the state, you’ll get to see the state’s most beautiful rivers, mountains, parks, lakes, small towns, and cities. The Pit-Stop: Though you’ll no doubt want to make several stops on this journey, Leavenworth, Washington,should be at the top of your list. This small town is packed with Bavarian-style architecture and fun activities—especially during Oktoberfest. The Scene: Start your drive along Highway 101 in Seattle to head into this scenic 330-mile loop. You'll come across amazing forest views as well as the rugged rocks near the Pacific Ocean, all set among one million acres of national land. The Pit-Stop: Stretch your legs at the Dungeness Spit, one of the world's longest natural sand spits. 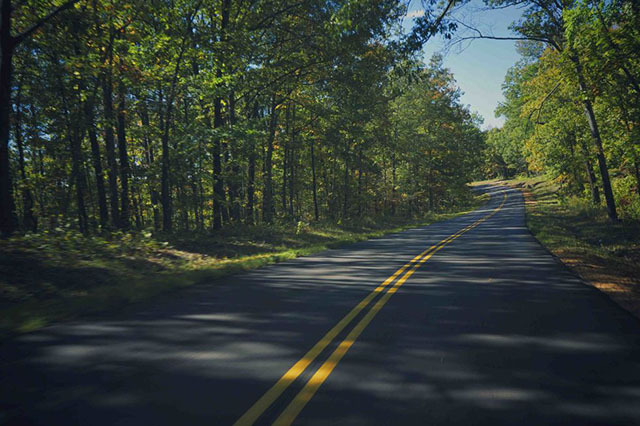 The Scene: Experience this beautiful corridor through the Monongahela National Forest for 43 miles, as you follow the byway from Richwood to US Route 219. The Pit-Stop: Be sure to make a stop at the Honeycomb Rocks, the unusual and intriguing rock formations near Marlinton, West Virginia. The Scene: There are 33 river towns dotted along the 250 miles of Great River Road. You'll never get tired of taking in the wonderful views of the Mississippi River as you drive through the cute, sleepy towns on this route. The Pit-Stop: Save some time to hike or picnic at Alma, a city park with a stunning overlook of the river. 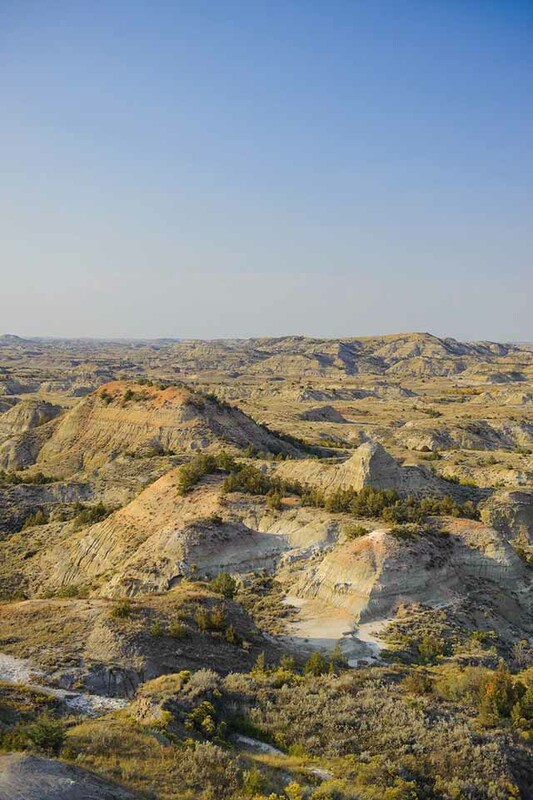 The Scene: As the second highest highway in the state, this byway crosses from Interstate 80 about 20 miles east of Rawlins through jaw-dropping alpine habitats. The Pit-Stop: Stop in the tiny town of Centennial to take a break and grab a bite.